PuraEPA , Recommended by Doctors , Taken By Doctors. A Clinical Grade Of 93% Pure EPA Fish Oil, Helping People Since 2005. 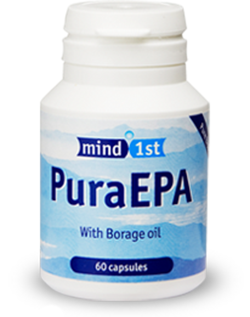 Pure EPA is a highly concentrated form of fish oil. It is part of the Omega 3 family. The oil is made from small oily fish from sustainable wild fishing grounds. 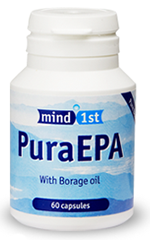 Our Pure EPA oil is known for its purity and quality. Our Pure EPA is a minimum of 93% concentrate. Are all Pure EPA fish oil supplements the same? The simple answer is no. The industry standard strength for fish oil is 30%. Our EPA Fish oil is exclusively manufactured to a much higher quality; it is fully 67% stronger than the industry standard. It is important to point out that PuraEPA is not an ‘off the shelf’ standard oil; it is manufactured specifically to our very high specification. Omega 3 fish oil pure EPA is no miracle cure – rather it feeds the body the essential nutrient omega 3 EPA, this in turn helps to replenish and balance the vital good fats the body needs to return to the correct balance. Modern diets high in processed foods and refined carbohydrates and sugars have slowly, over time, caused an imbalance of omega oils in our bodies. We should be eating more Omega 3 good fats. To gain a sufficient dose the average adult would need in excess of 500mg EPA to raise red blood cell levels. Lifestyle, diet & body weight, strongly influence the required dose. 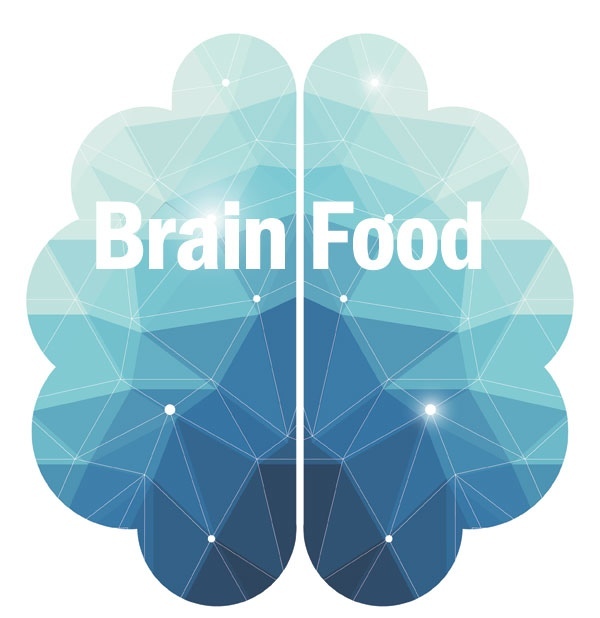 Certain forms of omega-3, such as our Pure EPA are the most efficient and effective at raising omega-3 levels as they are unrivalled in terms of concentration and dose. Most omega-3 supplements (such as standard TG fish oil or krill oil) do not produce meaningful increases to red blood cell omega-3 levels because they only offer good bioavailability, whilst being very poor in terms of concentration and dose. With a daily dose of Pure EPA, you should first start to notice an improvement in your hair, skin and nails, This is a sign that you are absorbing the oil correctly. When this starts to happen, over time, the oil addresses the omega imbalance. 78 % of our new customers arrive via word of mouth recommendation from current customers. We know this from testing and feedback from within our database. What makes Pure EPA unique among other omega 3 supplements? 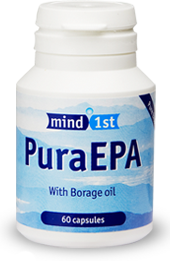 As the name suggests, Pure EPA contains ultra-pure EPA, and only a fraction of other omega 3 fatty acids. We recently performed a customer survey and 82% of our current customers said they had noticed a difference after taking our EPA oil. Our Pure EPA oil was first introduced over 12 years ago. We started as a small family run company and have gone from strength to strength due to the extremely high quality of the oil. The quality and length of time the product has been on the market, has given us a very large repeat customer base. Our customers over the years have been reporting back some amazing results. On the 15 of September 2017 we received our laboratory report for the latest batch of oil; total omega content per 100mg of oil was an amazing 97.68%. Customer feedback from surveys we send out gives us a valuable insight into how each customer responds in a positive way when taking the oil. We carry out our own surveys to our current customers. On average we receive a feedback score of 4.5 out of 5 for product excellence, customer service, and overall satisfaction. 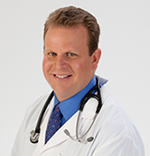 I am a naturopathic physician with nearly 20 years of experience developing breakthrough nutritional products.I also have extensive television and radio experience and have lectured widely to health professionals, the military and the public on all aspects of natural health. It was when I first started primary school that I think it became obvious that I wasn’t fitting in with everyone else. I spent a lot of time alone in the playground but looking back I don’t think I wanted to mix with the other kids, I was completely oblivious to everything. It wasn’t long before there was concern at school because the other kids were starting to learn to read but I wasn’t, click here to read more. Please take a moment to read this very personal account a customer emailed to us some time ago. (This is a testimonial and individual results may vary). From a very early age, I can remember being very agitated about some of the smallest things. What’s important to a child can of course be nothing of consequence to an adult, but at the time I can remember asking questions that seemed very important to me. Are we late? Is there going to be anybody there? I would be seriously worried about the outcome of the answer to would it rain on school sports day? What would we do? Would it be cancelled? If it didn’t rain, would everyone turn up? Did I look OK in my new sports strip? Were we on time? Being late for an occasion opened the door to a whole new set of worries. This sort of worrying may not sound too extreme, but I was only five or six years old. As far as I can remember, my parents – who 99% of the time were great, never picked up on my excessive anxiety. I always felt fobbed off with a half-baked answer to most of my questions. I honestly feel that if it had been spotted and helped by them, then things may have been easier for me as a child. I’m conscious with my own children today that children need lots of support and lots of love and reassurance from their parents. One of the more unusual things I used to worry about in my teenage years was the weather. The weather, in particular the wind, used to send shivers down my spine. It caused me to worry and fret about the slightest little thing. As an adult I’ve done a lot of reading, but have never come across this particular problem – I call it Weather Affective Disorder. It’s a close cousin of Seasonal Affective Disorder or SAD, except that while SAD only affects people for a few months of the year, WAD affected me all year round. It could be wind, rain or even the blue sky that bothered me. Despite my anxieties as a child, I was very good at sport and problem solving – I was also very creative. I joined the army when I was 16 and was happy to be involved in lots of sport and activities but I found the constant change, lack of information and constantly living in fear of the unknown hard to cope with. Where was I to be sent next and when? Would I like it as much as what I was doing currently? I worried constantly. After being in the army for about six years I had had enough of the constant change and upheaval, so I decided to leave and have a go at something else. I gave my one year’s notice to leave. At that time the army had just made a lot of people redundant so I knew that I would still be sent out on active service in that year. Sure enough, I was sent to Northern Ireland on a six-month tour. On the whole that was a fun trip, and I had some good times with a good bunch of lads. After the six months we arrived back in our barracks in Germany to be told we had two weeks’ leave, after which we were to prepare to go to Bosnia for another six-month tour of duty. At this point I was due to leave the army and was going to start my resettlement courses, so I was unhappy about this. This event seemed to act as a psychological trigger for me. Our job in Bosnia was to build a runway so that NATO could launch air strikes if it needed to. When we arrived I knew something inside me was different, but still to this day I don’t know what it was – I just didn’t feel right. Our job was to build our own accommodation first, then to start on the runway. We started to build a tented camp the size of a small village which resembled something from MASH. When we got there it was the back end of summer and very hot, and the working days were short and bearable (with the occasional visit to the beach thrown in). The showers we built were just cattle shed frames with water pumped into the hollow metal frame, then we punched a hole into the frame with a nail and there you had a shower. The toilet was one long trench dug into the floor, right next to the road so all the passing traffic could see you (most of the traffic was military). After two months the summer had gone and the wet season was upon us, and this is when my life began to change forever. The days were wet, windy and dark. Our clothes were constantly wet, our tents had small rivers running through them and my sleeping bag and all my possessions were wet. It’s impossible to describe the feeling of getting into a wet sleeping bag with water still dripping on you, the tent being blown over night after night in the torrential downpours. Getting up in the morning having not slept a wink all night due to being soaking wet was horrendous, everything was wet or extremely damp for three months. My morale was at an all-time low. Then a ray of light; our troop commander said that it was our turn for a bit of rest and recuperation. Just what the doctor ordered – or was it? We were sent to a small hotel about 20 miles from camp, two single beds per room, en-suite shower and toilet, clean towels, dry clean beds, hot quality food, hot running water. It was heaven. To feel such comfort after such squalor was an amazing high, words cannot explain my elation. For four whole days and nights we lived in relative luxury and ate good food. When the four days were up, we were bussed back to our tents. On the way back it started to dawn on me that I had left a very wet sleeping bag and clothes behind. When we arrived it was worse than I had expected. Whilst we were away the camp had been flooded and our tent was under a foot of water. I felt a terrible sinking feeling. It came over me suddenly; I just wanted to kill myself there and then. Life had no meaning at that point. I just burst into tears and sat there with my head in my hands wishing I was dead. As every second passed, I was going further down into a bottomless pit. I had been sitting there for what felt like hours when a medic came, picked me up and walked me to the tented medical center. That was the start of my bipolar life – a dizzying high followed by a catastrophic low. The treatment which followed was very basic, just a load of tablets to keep me quiet until I left the army in three months’ time. There followed two disastrously unsuccessful stays in two different psychiatric wards. I won’t go into details just in case you need to have a short stay in one yourself. If you do, remember to never get angry, to keep smiling and telling them you’re OK or your stay will be longer than you think. After this I resigned myself to self-diagnosis. I did a lot of reading and came to the fairly easy conclusion of bipolar disorder (manic depression ), involving massive ups and massive downs. Ten years later I had tried every antidepressant drug under the sun, none of which seemed to work for me – the side-effects were just as described in the leaflet, but the positive effects never materialised. The Quest To Find Balance Begins! So after many failed treatments from the doctors including herbal remedies, I decided to try and give my whole life and daily regime a good overhaul. 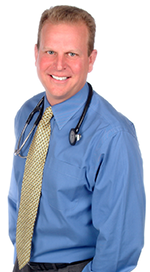 This started with many hours of research to find the ultimate health plan, after these many hours of research they all led me to the same paths which were general lifestyle, diet and exercise. So I decided to make a plan to start exercising again. This was really easy as I was used to it from the Army, so I made a conscious effort to visit the gym at least 3-4 times per week. I was off to a great start so no problem there. The same can be said for high carbohydrate food as well (Not that Atkins rubbish, just eating more lean protein). After doing all this I started to feel like things were really falling into place for me and I began to feel a lot better. I don’t know why but I still felt that one component was missing and it took me ages and ages to find out what it was. So I kept a diary of my weeks activities and food intake and showed it to a friend of mine who is a nutritionist. She took one look and was quietly impressed, but she spotted right away that I had zero omega 3 in my diet at all! So after sorting out my lifestyle my highs are now fairly manageable; they tend to upset those around me more than they upset me. 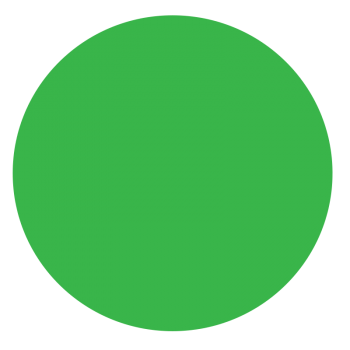 As for the downs – I have them under control too. After hearing that I was deficient in omega 3, I did some more research into what kinds of foods I needed to be eating to obtain this in my diet. Now apart from Hemp seed the only really natural food that is abundantly high in Omega 3 is fish … Noooo way, I can’t stand fish! So I had to find an alternative to try and get this into my diet and the natural choice was Fish oil supplements as I was not prepared to eat fish! I went along to my local supermarket and bought some fish oil. I sat back and waited for my more balanced moods that everyone talks about regarding omega 3, but there was no change. In the mean time I was given a book to read about the benefits of Omega 3 fish oils, and about the benefits of something called EPA, an omega 3 nutrient. Having found a fish oil with a high EPA content, I again waited for the balance in mood to occur. Disappointed, I wondered if I was immune to fish oil, or if I still had the wrong type. So I set about studying EPA fish oil in great depth, and what I found was to change my life. I found that there are many grades of fish oil, from the old-fashioned cod liver oil right up to the Rolls Royce of fish oil – high-grade EPA concentrates. I searched for the highest grade of EPA that I could find. All the oils seemed to have unique selling points, but because of all the research I had done I could tell the hype from the truth. The biggest pointer I was given was that oil, like alcohol, has strength, and that the quantity wasn’t as important as the strength. Again I searched for this elusive high-grade oil. It was apparent that all websites would use terms like ‘high-grade’ and ‘ultra strong’, which hampered my progress for genuine high grade oil. I eventually found a product that had some independent reviews and was allegedly one of the strongest oils available. I hoped this would be my solution, but again I felt no effect. I rang the company involved and asked if I was doing something wrong, they asked how long I had been taking the oil for and how many capsules per day. They told me it was not a miracle cure, and that I would have to take four capsules per day for a minimum of three months for the oil to be fully absorbed. They also said that there were other things that could put the brakes on the absorption process, mainly your diet, (I had this under control). So I upped my dose to four caps in the morning and stayed with my good eating habits, trying to cut out all the rubbish. Four weeks later I started to notice some very strange things happening to me; I was behaving a little out of character. My anxiety levels about very stupid things had all but gone. I had stopped worrying about my car breaking down when it was raining, and about low-level fast-moving clouds. I also started to notice that my anger levels aimed at my children were also rapidly disappearing; I was talking to them rather than ranting at them. Not to mention the rapid growth of my hair and nails. Over the following months I noticed many things starting to fall into place. My moods were more balanced then they had been for 15 years. I found myself laughing at comedy on the TV, which was not normal for me. I started not to care about little things, and I found it easier to let things go whereas before they would nag at me for weeks on end. My concentration was nothing short of awesome, the ability to focus on a task was so much better, but the biggest thing had to be the balance of mood that this fish oil seemed to be giving me. Absolutely 100% cured? No, but I am 95% better for having added it to my diet. If my old moods could be compared to a tidal wave, my moods now are gentle waves lapping on the shore, and they are very easy to manage.